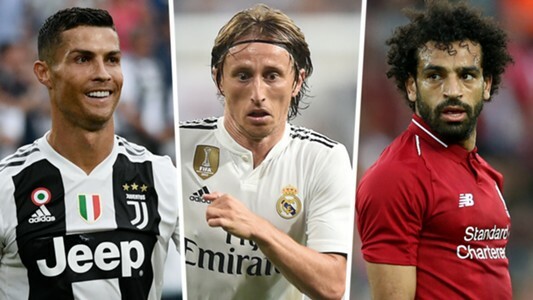 FIFA have listed Cristiano Ronaldo, Modric and Mohamed Salah as the final three for the The Best Men’s Player of the Year award. 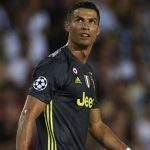 The trio have been rewarded after an outstanding 2017/18 capaign performance with Barcelona forward, Lionel Messi snubbed by FIFA for the first time in 12 years. Despite Lionel Messi’s exploits in helping Barcelona win the La Liga title it didn’t overshadow the feats of Mohamed Salah’s hitting 44 goals in all competitions for Liverpool, Ronaldo and Modric helping Real Madrid win her third Champions League title in 3 years. 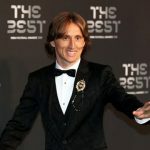 Modric won UEFA’s award for best player of the year last season, which drew condemnation from Ronaldo’s agent, Jorge Mendes, for snubbing the top goalscorer in the Champions League. 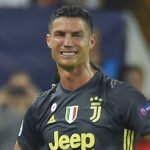 Ronaldo’s move to Turin came after he eliminated Juventus from Europe with an empathic overhead kick, which also sees him nominated for FIFA’s Puskas award for the best goal of the season . 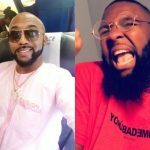 The 32-year-old won the Golden Ball for the best player at Russia 2018 ahead of the likes of Antoine Griezmann, Paul Pogba and Kylian Mbappe, who starred for winners France. Mohamed Salah thrived for Liverpool as they reached the final of the Champions League, although a shoulder injury from a foul by Real Madrid’s Sergio Ramos prevented him from having the ideal World Cup campaign with Egypt .